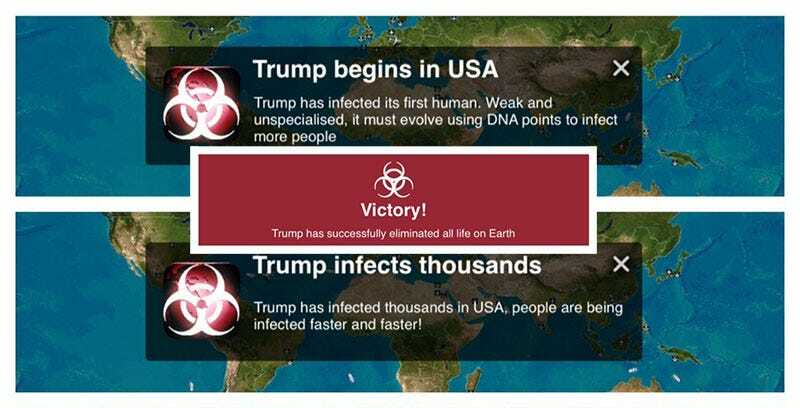 According to a tweet from developer Ndemic Creations (via Reddit), Trump is currently one of the most popular names for players to give their humanity-ending pathogen in the strategy game Plague Inc. Another win! Plague, Inc. is a game in which players create a deadly pathogen and attempt to encourage its spread across the globe, with the ultimate goal being global extinction. It started off as a mobile game but soon spread to consoles and PC. It’s actually quite fun. especially when you give your killer disease an appropriate name.